The Belgian farmer, whose name was Henri Lejoly, was surprised at the nonchalance of the U.S. troops. Standing in the barren field outside of the town of Malmedy on that cold early afternoon in the winter of 1944, they smoked and joked with each other. Some of them had placed their hands on their helmets in a casual token of surrender to the Waffen-SS troops of Kampfgruppe Peiper—the mechanized task force commanded by the brilliant young German Colonel Jochen Peiper—as it passed by, but beyond that they seemed remarkably unconcerned. The offhand behavior of the roughly 115 U.S. prisoners may have been because the men came from Battery B of the 285th Field Observation Battery. This was an outfit whose job was to spot enemy artillery emplacements and transmit their location to other U.S. units. It had seen relatively little frontline duty and was filled with numerous green replacements. Most of the SS troops, including Jochen Peiper, had seen extensive duty in the grim killing fields of the Eastern Front. As Kampfgruppe Peiper passed by these Americans, an SS soldier suddenly stood up in the back of his halftrack, aimed his pistol, and fired it twice into a group of U.S. prisoners. One of them crumpled to the ground. Terrified U.S. soldiers in the field suddenly began to run. Then a German machine gun at the back of another halftrack opened up and U.S. prisoners fell screaming to the ground. Within a matter of a few minutes, the field was covered with quickly coagulating pools of blood and writhing bodies. Then the SS men began to walk among the injured and the dead, pistols out. The Battle of the Bulge was the largest battle ever fought in the history of the U.S. infantry and one of the bloodiest battles of World War II, which was the most costly war in human history. The U.S. troops suffered 81,000 casualties, which included 18,000 dead, while their German opponents were hit with 70,000 casualties, including 20,000 dead. The battle lasted forty days in December and January of 1944–45, in atrocious winter weather that was the worst seen in the Ardennes region of Belgium in twenty years, and could easily have resulted in a devastating loss for Allied forces, one that might have stalemated a war that they seemed well on their way to winning. With all of these matters of great importance, why has so much attention been paid to the killing of eighty-four U.S. soldiers in a small field on December 17, 1944? The Germans of Kampfgruppe Peiper, seventy of whom were convicted in a war crimes tribunal after the war, were surprised—executing prisoners was standard fare on the Eastern Front. So, too, were many U.S. soldiers who had done battle in the Pacific, where the Japanese treated U.S. POWs with casual brutality. Perhaps one reason for the attention paid to the Malmedy Massacre is that many Americans at the time, including, possibly, those of Battery B standing in the field that day, thought that, against the Germans at least, they were fighting a “civilized” war with adversaries who shared the same racial heritage as thousands of GIs. This official military history goes on to state that “there is no evidence that American troops took advantage of orders, explicit or implicit, to kill their SS prisoners,” but any GI fighting in Belgium in the days after December 17, 1944, could tell a very different story. In a sense, the Allied war against the Germans since the D-Day landings of June 6, 1944, had gone almost too well. After a fierce fight in Normandy, the Americans and British had broken out of their beachheads at the end of July and sent the Wehrmacht reeling backwards, ceding vast areas of France and Belgium to the U.S. armored divisions of the First and Third Armies and the British Twenty-fifth Army Group. But such was the speed of the Allied advance that outfits began to outrun their supply lines. By late fall, the sixty-five Allied divisions operating in northeastern Europe were facing vital supplies shortages, especially of fuel, and their offensive had sputtered to a halt. Digging in for the winter, the Americans and British sought to consolidate their gains and build up fuel supplies for a massive push into Germany in the early spring. The Allied lines were weakest along a 100-mile (160 km) stretch from southern Belgium into Luxembourg, a place where U.S. commander Omar Bradley took what he called a “calculated risk” by placing only six U.S. divisions—about 60,000 men—three of which were untried in battle and three of which were exhausted from months of heavy combat. This area covered the rugged and desolate Ardennes Forest and was mountainous and remote. As December 1944 began, the Ardennes fell prey to the worst winter weather it had experienced in a generation, with temperatures hovering below 0°F/-17°C for days at a time. Snow blanketed the little towns, vacation chateaus, and deep forests of the area. The area was so thinly held by GIs billeted (if they were lucky) in Belgian inns and private homes that it was called “the Ghost Front.” The GIs knew that their German enemies were out there in the snow and fog, but believed that they would never attempt a serious attack in such conditions. But that is exactly what the Germans did, in a massive counteroffensive personally planned by Adolf Hitler. His goal was to punch through this weakly held part of the Allied line and send his armored divisions streaking toward Antwerp. Once he had captured this vital port, he could force the Allies to sue for peace. With the greatest of secrecy, aided by winter weather that kept Allied planes on the ground, he assembled a huge force of 250,000 men, 1,400 tanks, and 2,000 artillery guns on the eastern edge of the Ardennes. And, at 5:30 a.m. on December 16, this blitzkrieg struck the unsuspecting Americans. Up and down an 85-mile (136 km) front, mortars, rockets, and heavy artillery shells literally blasted American troops out of bed or shook the ground around their frigid foxholes. After an hour, the barrage stopped and then, in numerous strategic places along the front, giant searchlights were turned on, blinding the Americans and turning the foggy morning a glowing white. German infantry—wearing winter camouflage clothing that most of the Americans did not possess—attacked out of the ethereal mist, firing burp guns from the hip. Behind them came the grumbling roar of massive Tiger and Panther tanks. Many of the astonished and terrified Americans—a large number of them cooks and clerks—picked up rifles and fought back, while some threw away their arms and immediately ran away. Massive confusion was the order of the day. Even at the headquarters of the Supreme Allied Command, it was at first thought that this German attack was a feint, a prelude to another main attack someone else along the Allied lines. With the skies filled with clouds, Allied scout planes could not get a clear picture of just how enormous the attack was, and frantic reports from infantry units in the area were confused and fragmented. In fact, the Battle of the Bulge, as it would become known for the deep indentation the attacking German forces pushed into the U.S. lines, quickly became a series of confused small actions, with isolated units engaging each other in fierce battles. Communications were terrible and no one quite knew where the Germans were. In some instances, U.S. outfits were completely surrounded by the attacking Germans while, a few miles (kilometers) away, the GIs wiped out entire German companies. However, in the beginning of the attack, the Germans possessed the element of surprise and a sense of purpose and direction—they knew what they were there for and where they were heading. Spearheading the German attack was a remarkable twenty-nine-year-old SS colonel named Jochen Peiper. Peiper was the commander of Kampfgruppe Peiper, the leading battle formation of the First Panzer Division—he had been personally picked by Adolf Hitler to be the point person on the Sixth Panzer Army’s drive to seize the bridges of the Meuse River and capture Antwerp. Holder of the Knight’s Cross with Oak Leaves, Germany’s highest military decoration; an ardent Nazi; and a hardened veteran of fighting in France, Italy, and on the Eastern Front; Peiper was admired by his soldiers, but known as a brutal fighter. He had probably ordered an attack by his unit, which caused the deaths of forty-three Italian civilians in the village of Boves, Italy, in 1943, and in numerous actions against partisans in Russia, his unit deliberately burned villages and killed Russian civilians. And on the morning of December 17, the second day of the German attack, he was a frustrated man. Because of a heroic and determined resistance by elements of the U.S. 99th Infantry Division, his task force, which consisted of 117 tanks, 149 halftracks, and 24 artillery pieces, was already 12 hours behind schedule. Time is always important in military operations, but in the Ardennes in December 1944, it was the most crucial factor that Peiper, and by extension the entire Wehrmacht, faced. They must reach the bridges on the Meuse River before the sky cleared and the Allied planes, which enjoyed almost total air superiority, could turn their tanks into smoldering wrecks blocking the narrow roads and halting Germany’s last chance at saving itself from total defeat. At around 8 a.m. on December 17, a convoy carrying Battery B, 285th Field Observation Battery, set out from Schevenutte, on the border of Germany and Belgium, on its way to St. Vith, Belgium, which was about to become a focal point of one of the great clashes in the Battle of the Bulge. The convoy consisted of about 130 men, thirty jeeps, weapons carriers, and trucks and was led by Captain Roger Mills, and Lieutenants Virgil Lary and Perry Reardon. The day was clear and cold, with temperatures well below freezing, and a light dusting of snow on the ground. Battery B reached the Belgian town of Malmedy around noon. After passing through the town, the convoy was stopped on its eastern edge by Lt. Colonel David Pergrin, in charge of a company of combat engineers who were all that were left to defend Malmedy. Pergrin warned Mills and Lary that a German armored column had been seen approaching from the southeast. He advised them to go to St. Vith by another route, but Mills and Lary refused, perhaps because ahead of them were several members of Battery B who had been laying down road markers, and they did not wish to abandon them, or perhaps simply because the route they were to take was stated in their orders. For whatever reason, Battery B proceeded along its designated route until it came to a crossroads about 2.5 miles (4 km) east of Malmedy, which the Belgians called Baugnetz but the Americans referred to as Five Points, because five roads intersected here. There was a café there, as well as three small farms. Shortly after it passed this crossroads, the column began to receive fire from two German tanks that were 1,000 yards (0.9 km) down the road. These tanks were the spearhead of Kampfgruffe Peiper, led by Lieutenant Werner Sternebeck, and their 88-mm guns and machine guns easily tore up the U.S. column. Sternebeck and his tanks proceeded down the road, pushing burning and wrecked U.S. jeeps and trucks out of the way and firing their machine guns at U.S. soldiers who cowered in ditches—something Sternebeck later told historian Michael Reynolds that he did to get the Americans to surrender, which most of them did, since they were armed only with rifles and pistols, weapons that could not possibly fight off tanks. Sternebeck then sent the Americans, numbering about 115 in all, marching with their hands held high back to the crossroads at Five Points. (Perhaps eleven men of Battery B had been killed in the initial attack.) He assembled the prisoners in a field there and waited with his tanks and halftracks for further orders. The delay upset Peiper. Racing to the front of the German column, he upbraided Sternebeck for engaging Battery B—because the noise might alert more powerful U.S. combat units nearby—and told him to keep moving. Sternebeck moved out, followed closely by Peiper, and the long line of Kampfgruffe Peiper began to pass the Americans standing in the field, some of whom had begun to relax, put their hands down, and light cigarettes. Sergeant Beutner then stopped a halftrack that held a 75-mm cannon and attempted to depress its barrel low enough to aim at the prisoners in the field. When the gun crew was unable to do this, Beutner gave up in disgust and waved the halftrack on, much to the relief of the now edgy and nervous Americans in the field. But then another German unit came by and those Americans who could speak German heard a lieutenant in this unit give the order: “Machte alle Kaput!” Kill the Americans. At first, the Germans present merely stared at the officer, but then Pfc. George Fleps, an ethnic German from Romania, stood up in his halftrack and fired twice at the crowd of Americans. The Americans in the rear of the group began to run away, even as an officer yelled “Stand fast!” thinking that the Germans would shoot them if they saw them escaping. In fact, this is what happened. Seeing Americans fleeing, a machine gun on the back of a halftrack opened up, cutting down those who stood in the field and those trying to escape. The farmer, Henri Lejoly, watched in horror as the Americans screamed and cowered as the machine gun bullets tore them apart. To this day it is uncertain if the Germans would have shot the Americans had they not tried to run—many German soldiers present later claimed they were merely killing escaping prisoners. However, surviving Americans distinctly remember the German order to kill coming before any of the POWs tried to escape. However, what the Germans did next reinforces the belief that they intended to kill the Americans from the beginning. As the GIs lay moaning on the ground, SS men walked among them, kicking men in the testicles or in the head. If they moved, the SS men would casually lean over and shoot them in the head. Some survivors later testified that the Germans were laughing as they did this. Lejoly, who was a German sympathizer, nevertheless could not believe his eyes as he watched one SS man allow a U.S. medic to bandage a wounded soldier, after which the German shot both men dead. Eleven Americans fled to the café nearby, but the Germans set it on fire and then gunned down the men as they ran out. As this killing was going on, the German column continued to pass through Five Points, and soldiers on halftracks chatted and pointed. Some fired into already dead Americans, as if to practice their aim. Amazingly enough, some sixty Americans were still alive in the field after the machine-gunning. As the SS massacred the survivors, they realized they had no choice to but to try to escape, and they rose and ran as fast as they could to the back of the field, heading for a nearby woods. The Germans swept them with rifle and machine gun fire, but made little attempt to chase after them. Perhaps forty made good their escape into the deepening dusk. Most of them attempted to make their way back to Malmedy, some wandering for days before they returned. However, early that evening, three escapees did encounter a patrol led by Colonel Pergrin, who had heard the shooting and was coming to investigate. The men, covered with blood, were hysterical. “The Germans killed everybody!” they shouted at Pergrin. That evening, Pergrin sent back word to 1st Army Headquarters that there had been a massacre of some type at Malmedy. The area around Five Points was so hotly contested that it was not until nearly a month after the massacre, on January 14, that the U.S. army was able to recover the bodies of the 84 men who had been killed in that field. 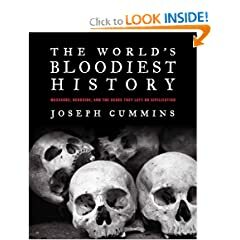 Autopsies conducted on the frozen corpses showed that forty-one men had been shot in the head at close range and another ten had had their heads bashed in with rifle butts. Nine still had their arms raised above their heads. Many of the Americans fighting in the Battle of the Bulge were green replacements who had never seen combat before, let alone this kind of vicious and bloody fighting. Many of them had run away at the first sign of the German attack. But some of these same GIs later recalled that the story of the Malmedy Massacre so angered them that they decided they would now stand and fight with everything they had. And they did. By the time the Battle of the Bulge wound down in late January 1945, fresh Allied replacements, the tenacious stand of the battered GIs, and clearing weather (which allowed Allied airborne operations) combined to halt the German advance. Jochen Peiper never reached the Meuse, his much-sought-after goal. Of his 5,000-man force, only 800 survived to return to Germany. By the time the war ended, the U.S. public knew all about the Malmedy massacre and clamored for revenge. On May 16, 1946, a year after the end of hostilities in Europe, Peiper and seventy of his men (almost one in ten of the surviving members of Kampfgruppe Peiper) were placed on trial for war crimes connected with the massacre. The trials were deliberately held on the site of the Dachau concentration camp, to garner maximum symbolism from the event. Not all of the presumed guilty could be punished—both Major Poetschke and Sergeant Beutner died in action during the war. But at the end of the proceedings, all seventy of the SS men, as well as Peiper, had been convicted of war crimes by a six-man panel of U.S. officers. Forty-three of them, including Peiper, were sentenced to die by hanging, twenty-two to life imprisonment, and the rest to ten- to twenty-year sentences. However, the trials were tainted by later testimony that the SS men had been tortured by U.S. interrogators (see “The First Guantanamo”) before their trials. All of the death sentences were commuted to imprisonment and, in 1956, Jochen Peiper became the last member of the group to walk out of jail. Peiper, who was murdered in France in 1976 by a shadow group of anti-Nazi terrorists who called themselves “the Avengers,” always claimed that he did not give express orders to kill the prisoners at Malmedy, and he probably did not. This may have been true, but Peiper also had a reputation for brutality to prisoners that his men certainly knew about. There were other instances of SS men under his control killing GI prisoners during his dash through Belgium, and Peiper did nothing to stop these. Though we may never completely know the truth surrounding the Malmedy massacre—who ordered it, and whether it was at least partly an attempt to stop escaping prisoners—there is no doubt that, in the end, the deaths there stiffened U.S. resolve to destroy the Nazis, and the hated SS, wherever they found them. Warren Kozak writes in the Wall Street Journal, "The Real Rules of War," Dec. 23, that his father, who survived the Battle of the Bulge, told him that for two weeks after the massacre they took no prisoners. They clearly violated the Geneva Conventions and "were technically guilty of war crimes." The story--including the response of the GI's--reminds me of John Dower's account of the Pacific War. Back in 1988 when I visited Pearl Harbor, my guide was a former sailor or Marine (I can't recall which) who had survived the 1941 attack and later fought in the Pacific. He described finding Marines who had been literally skinned alive by the Japanese in later island fighting, and admitted killing Japanese POWs in retaliation. He cried as he related these stories.